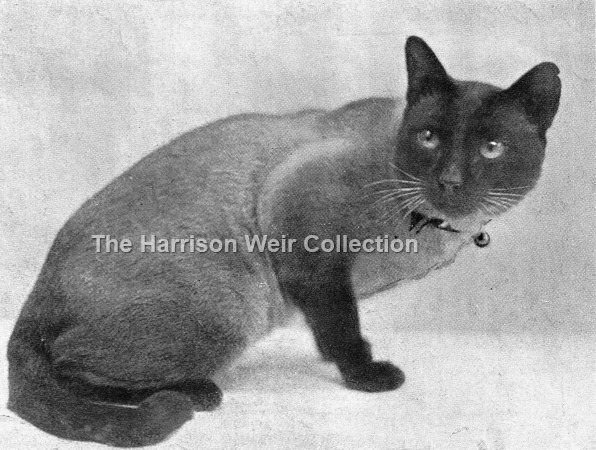 The most well-known of very early Siamese males, Ch.Wankee, who was imported to the UK out of Hong Kong. 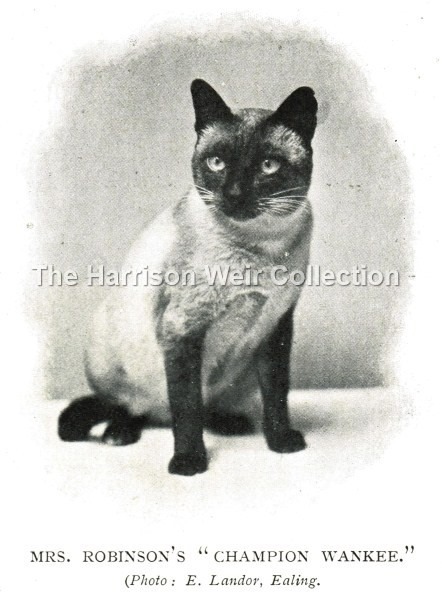 Wankee was the first Champion Siamese and was born Sept 28th, 1895. 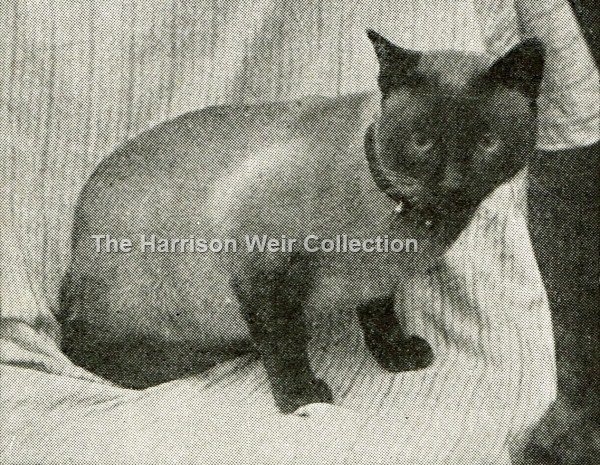 His owner was Mrs Robinson of West Kensington, whom Frances Simpson described as 'an enthusiastic and successful breeder of Siamese'. He won over 30 prizes, and sired among notable progeny, Beba, Menelik, Sam Sly, and Chaseley Robin, all winners of Championships. Here we see three different images all of Ch.Wankee, one from Frances Simpson's 'The Book of the Cat' (1903), another from her 'Cats for Pleasure and Profit' (1909) and one from 'The Tatler' dated 1901.